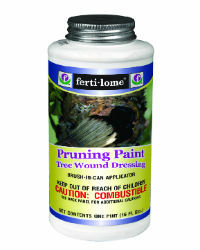 Fast & easy to use protective seal for pruning cuts, grafts, or damaged trees and woody shrubs. Provides a tough, elastic rapid drying coating over the cut area. Apply to all cuts 1/2 inch in diameter or larger.